Updated April 1, 2015 – Bacardi, the Bermuda-based and family-owned wine and spirits giant, is taking a major step into the Bourbon sector with the acquisition of Angel’s Share Brands, the parent company of Angel’s Envy Bourbon. Both companies are privately held, and the deal closed without fanfare on Friday (March 27). No purchase price was disclosed, but in a Bacardi news release, company executives indicated that Angel’s Share and its Louisville Distilling Company unit will continue to operate as a standalone division within Bacardi. Bacardi had owned a minority stake in Angel’s Share Brands since the company was created in 2006 when former Brown-Forman Master Distiller Lincoln Henderson, his son Wes, and a group of investors joined forces to start creating a new Bourbon. “They participated actively on our board, and were great partners to consult on all kinds of things related to the industry,” Wes Henderson said in a telephone interview with WhiskyCast’s Mark Gillespie. Henderson said discussions about a sale began several weeks ago, and Bacardi was the first company considered as a potential partner. In 2006, the Hendersons were able to source Bourbon from an undisclosed Kentucky distillery, and Lincoln Henderson began experimenting with Port casks to add a unique flavor to the whiskey. The first batch of Angel’s Envy was released in 2010, and there are currently three expressions of Angel’s Envy: the original Port cask-finished Bourbon, a cask-strength version released annually, and Angel’s Envy Rye finished in Rum casks. Ironically, even though Bacardi was a partner in the brand, the Rum casks used for Angel’s Envy Rye came from another Caribbean Rum producer. Henderson suggested that might change in the future following the acquisition, but made no commitment. 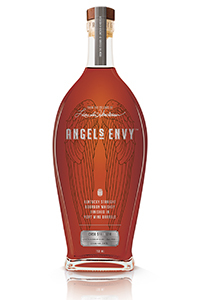 Bacardi is adding Angel’s Envy to a portfolio that includes Dewar’s blended Scotch, along with the recently introduced Last Great Malts of Scotland single malt range including whiskies from Aberfeldy, Craigellachie, Aultmore, MacDuff (Deveron), and Royal Brackla distilleries. In the news release, Bacardi vice chairman Barry Kabalkin said “Bacardi looks for the gems of innovation in the spirits world to complement our premium and super-premium brands, and ANGEL’S ENVY is a natural fit for our portfolio.” The flagship Angel’s Envy is one of the fastest-growing Bourbon brands in a sector that has shown consistent sales growth over the past several years. The acquisition also includes the Louisville Distilling Company’s distillery, currently under construction in downtown Louisville at the eastern end of “Whiskey Row” along Main Street. 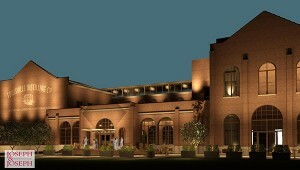 The distillery is scheduled to open in 2016, and will include a visitors center. It was intended to be the hallmark of Lincoln Henderson’s nearly five decades in the whiskey business when the project was announced in early 2013. Sadly, Henderson passed away later that year shortly after the ceremonial groundbreaking for the project. Bacardi will also inherit one of the many proposed class-action lawsuits filed against whisky brands in the past several months. A class-action lawsuit charging Angel’s Share with misleading consumers by claiming Angel’s Envy Rye is a “small-batch” whiskey is currently being heard in US District Court in Chicago. Angel’s Share sources the Rye whiskey used in Angel’s Envy Rye from MGP-I’s distillery in Lawrenceburg, Indiana, and the lawsuit claims that whiskey is mass-produced using the same recipe as Rye whiskies sold to other MGP-I customers. Angel’s Share has moved to dismiss the lawsuit, and the next hearing in the case is set for May 28 in Chicago. In addition to the Angel’s Envy deal, Bacardi confirmed Wednesday (April 1) that it has acquired a minority stake in Compass Box Whisky Company for an undisclosed amount. In an email to WhiskyCast’s Mark Gillespie, Compass Box founder John Glaser described the deal as part of a larger agreement reached last fall where Dewar’s will supply whisky from its distilleries for use in Compass Box bottlings. Bacardi acquired shares in Compass Box held by a former investor, and unlike the Angel’s Envy deal, this does not represent new investment in Compass Box. Editor’s note: This story was updated with additional information on the Bacardi investment in Compass Box. The entire interview with Wes Henderson can be heard on this weekend’s edition of WhiskyCast.